AZ PowerWash Pros is Now Offering Online Booking! Book your next residential pressure washing service online today and save on bundled services! AZ PowerWash Pros - Don’t Use A Hose Just Call The Pros! AZ Power Wash Pros is proud to boast we are home of the $99 Driveway Cleaning! Show your neighborhood you care and keep your driveway clean for only $99! Buy your next Driveway Cleaning online now! Keep your property image clean and protect your investment with exterior cleaning services. Schedule your professional property cleaning services today from AZ PowerWash Pros. Present a clean, safe a professional image at your commercial property with professional exterior cleaning and maintenance services. Call today for your free property evaluation! AZ Power Wash Pros is a fully insured pressure washing, power cleaning, and property maintenance company. We offer commercial, industrial, and residential pressure washing and power washing services to the entire Phoenix metro area. 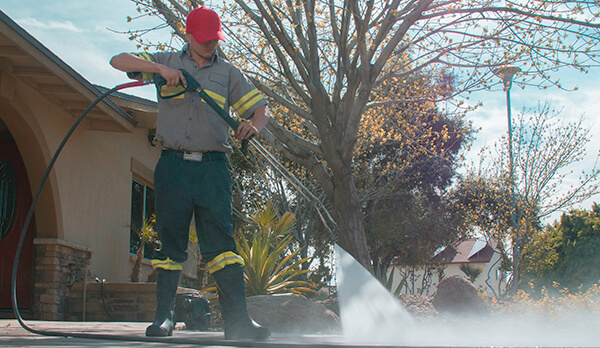 We have been Phoenix, Arizona's first choice for commercial and residential pressure washing services for over 5 years. All of our employees are trained professionals in the art of high pressure steam cleaning services. We pride ourselves on quality service and affordable prices for all of our paying customers not matter how large or small the job might be. We offer discountsto customerswho utilize our pressure washing services on a weekly, bi-weekly, or monthly maintenance program. Our maintenance programs include pressure washing, parking lot sweeping, restroom cleaning, window cleaning, building washing, sanitizing services, and much more! Call us today for a free on-site demonstration of our power washing and property maintenance services! 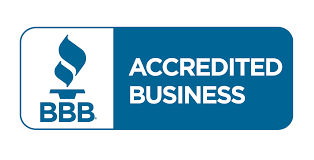 AZ Power Wash Pros is proud to say that we are an environmentally friendly pressure washing company. We have the capability to recover and recycle our water to ensure we save water and keep Arizona a "green" state. 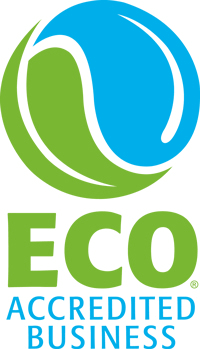 We are an EPA compliant pressure washing service that only uses eco-friendly and non-hazardous detergents and enzymes when pressure cleaning in Phoenix. We take extra precautions to ensure we keep Phoenix, Arizona environmentally friendly. We block storm water drains when cleaning commercial properties and all of our employees are trained in the eco-friendly cleaning process. Call us today for a free quote! We service all areas of Phoenix, Arizona. AZ Power Wash Pros is going green keeping Phoenix, Arizona clean! 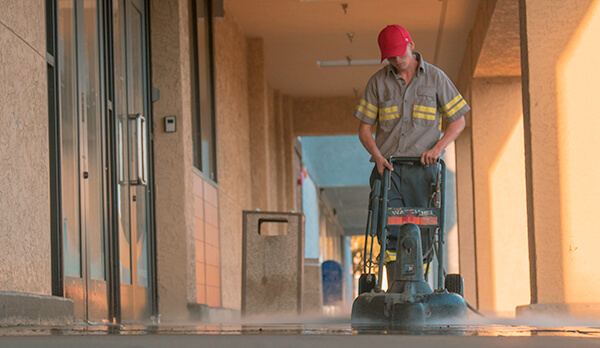 We are Phoenix, Arizona's premier commercial pressure washing and property maintenance company! Call us today for a free demo cleaning. 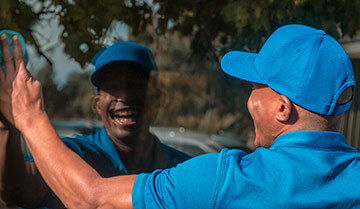 We are Phoenix, AZ's spot and streak-free window cleaning service. We clean both insides and outsides of windows leaving them spot free! 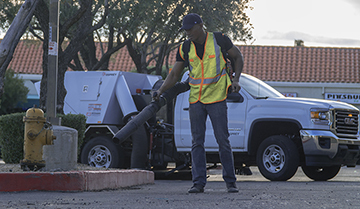 We are quickly becoming known as Phoenix, Arizona's premier parking lot sweeping company! We clean parking lots 7 days a week in Phoenix, AZ. 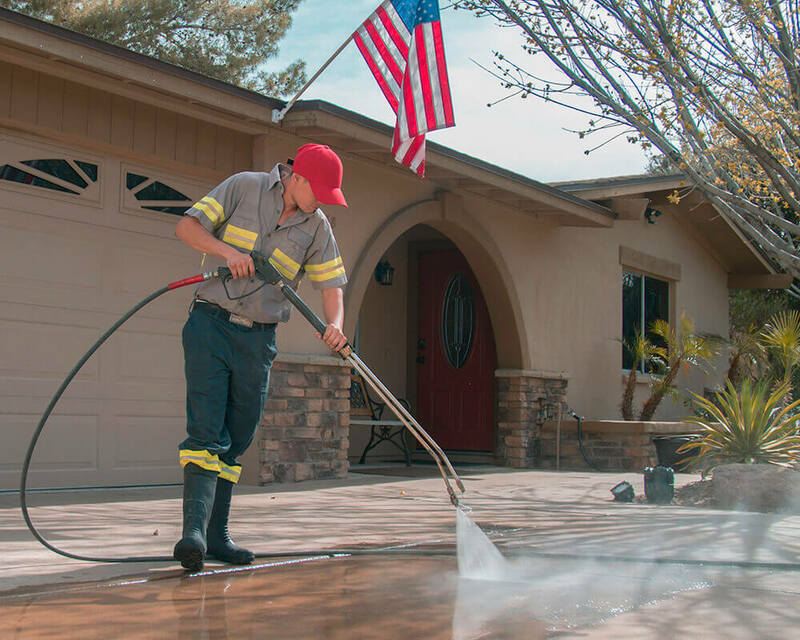 We are Phoenix, Arizona's premier residential exterior pressure washing service. Call Us today! We offer high quality steam cleaning services to all commercial customers in Phoenix, Arizona.